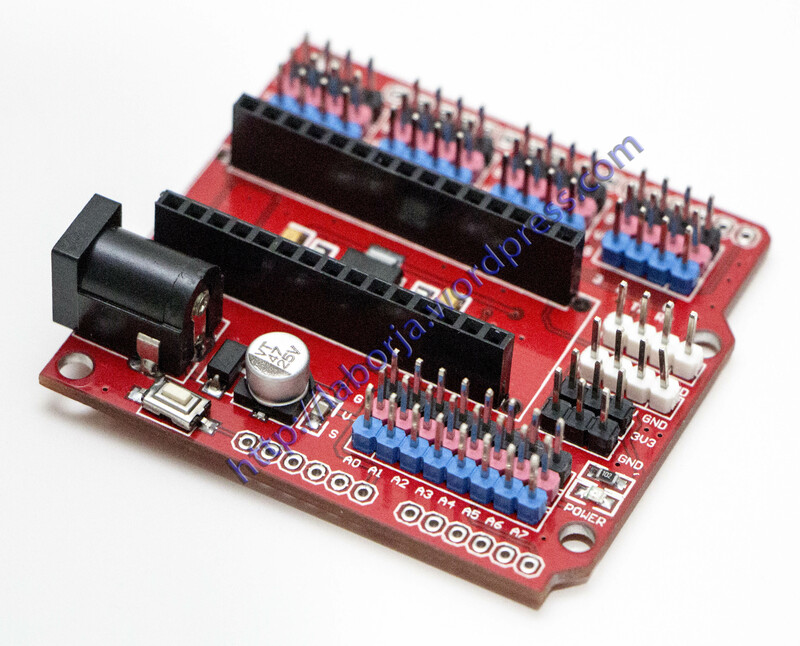 For ARDUINO NANO multi-purpose expansion board for For ARDUINO NANO tailored a sensor expansion board to solve the NANO when connecting a variety of sensor wiring confusing problem, as you develop For ARDUINO works of the weapon. 3 Increasing the DC power connector. NANO USB interface board supply current is actually only 50MA, to bring high-current devices, such as when the steering is obviously insufficient, this time in the DC power supply interface provides external power to ensure the stability of equipment operation .